No play was possible on the second day of Durham's County Championship encounter with Worcestershire. Umpires Nigel Llong and Richard Kettleborough decided the outfield at Chester-le-Street was simply too wet following earlier torrential rain. Durham have now lost 612 overs this season, most of them since July. 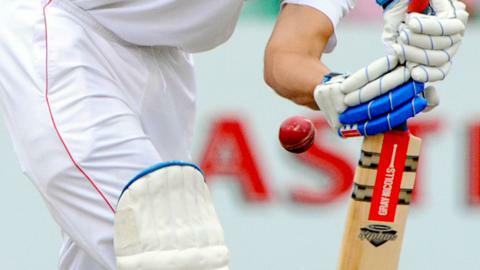 Worcestershire, on 223-4 in their first innings, began the penultimate round of county matches 26 points adrift of safety at the foot of Division One. They have to win both their final two games to stand a realistic chance of avoiding relegation for the fifth time in 12 summers. They finish their Championship campaign with a home game against Middlesex next week. "I love to be involved with England and that will never diminish. But I still have 100 per cent commitment to Durham and Andrew Strauss is fully aware of that. "I still have so much to give to Durham both on the field and in the dressing room. "We have seen great signs for the future this summer. "The players are a lot more skilful than I have ever been, but I hope to help create an environment in which they learn their own games and get the best out of themselves."